Many people try to remember their past lives when much more could be learned by remembering what they planned for this life while they were on the other side. Many people accept reincarnation to be a fact. Dr. Jim Tucker at the University of Virginia has studied over 2,500 children who had memories of past lives. Most of these children were living in families that did not embrace reincarnation but were Christian, Catholic, or Jewish and believed in heaven and hell. These children reported memories that included historical facts, as well as other people and former family members from their past life that could be found in records and photos. Many cases were verified by documents that proved what the children were remembering actually took place. The children were carefully monitored to be sure they had never been exposed to anything that would have given them knowledge of the things they reportedly remembered from their past lives. After studying so many children with memories of past lives and confirming facts associated with those lives, Dr. Jim Tucker concluded that reincarnation was real. Traditional Natives of North and South America, Hawai’i, and Australia believe in reincarnation as well. I was taught that during the time in between our lives we reflect on what we have done during our time in the physical world. We process what we learned, what mistakes we made, and the events of our most recent life. We reflect on our behavior in order to gain a clearer perspective. We can see where we went wrong, where we were able to correct our mistakes, and where we chose to blame others and remain stagnant in our growth. Once we have thoroughly examined our life and put it in perspective with our other past lives, we are able to see our soul holistically. We can see all the lessons we have learned and how far we have yet to go in our evolutionary process. Many people try to remember their past lives when much more could be learned by remembering what they planned for this life while they were on the other side. When we are in physical form we do not have the benefit of vision that extends over many lifetimes. It is senseless to remember another life that only provides the same limited view we have in our present physical form. Our time would be better spent trying to access the time and place where we examined the meaning and purpose of all the lives we have lived. If we can see what we were supposed to be learning in this lifetime before it is over, we can save ourselves countless years on the reincarnation wheel. When we study our lives in detail we begin to get a picture of what our soul is still lacking. Our goal is perfection so that we can become one with The Creator. This is not done in a dozen lifetimes, but over many thousands of years. We can see just how far we are from perfection by examining our own growth as displayed by our actions when we are in physical form. Life is primarily for doing; the other side is for examining, processing, and planning. Our soul is only able to make progress when in the physical form. We learn from what we have experienced in life while on the other side; nevertheless, we cannot change our karma unless we are in physical form, which constitutes another large part of our evolutionary process. When we hurt others we incur a debt or karma. To pay off that debt we must be in the physical form. We are often called to a new life where we are able to pay off that karma to the souls we have wronged in a previous life. I was taught that the soul chooses when and where it will be re-born. I struggled for many years with this premise. I could not comprehend why I would have chosen the family I did, the city and state, the era and the circumstances surrounding my birth. It simply defied logic. As I have grown older and practiced communicating with my inner elders more extensively, I have begun to see why I made those choices. They were to give me an opportunity to learn the lessons my soul needed to advance on its journey. There were people in the family whose souls I had previously encountered in other lives and there was karma to be worked out with these individuals. With the clear vision I had on the other side, I saw that this environment would provide me with the opportunities my soul needed. It is not about being born at the right time for your talents or gifts to be recognized properly or even for your abilities to be needed by the world at that time. It is solely about your soul’s evolutionary development on the road to enlightenment. Right before we are born, the Angel of Forgetfulness touches us and we forget all we have learned on the other side. This obviously does not always completely erase all of our memories of past lives or even our time on The Other Side. It is possible to remember our previous times in physical form through hypnosis or meditation, but as I already stated, it is much more valuable to remember the time we spent examining our soul and its progression. This can also be done with the help of hypnosis, meditation, or even lucid or controlled dreaming. This process requires time and deep thought. Most people are too consumed with meeting their daily needs to be able to devote the time needed for this type of examination until they are in their later years. When we must spend eight hours a day, five days a week at work and the rest of the time raising a family there is simply not enough time. That is why the wise medicine men and women who were able to reflect on such things in their elder years took great care to make sure others had access to this knowledge. The teaching of the Circles of Life is one of the tools that can help us navigate through life with a clearer understanding of where we are going. The medicine men and women who created and guarded it through the centuries believed that when The Circles of Life lesson is used together with the Wheel of Life one could evolve at a faster pace, saving much misery and heartache. 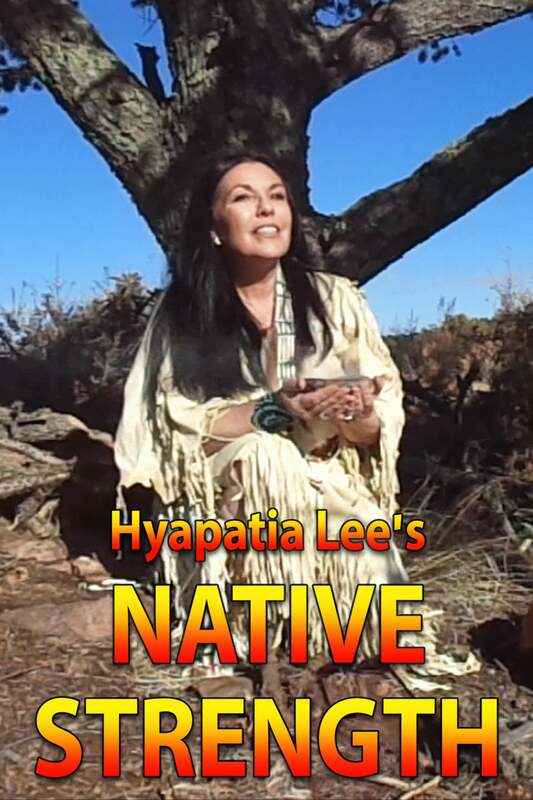 Hyapatia Lee is the founder of Native Strength, a Native American path to emotional strength and enlightenment based on a centuries-old inter-tribal system.